We were surprised by the new 2018 Hyundai IONIQ Hybrid upon its arrival. 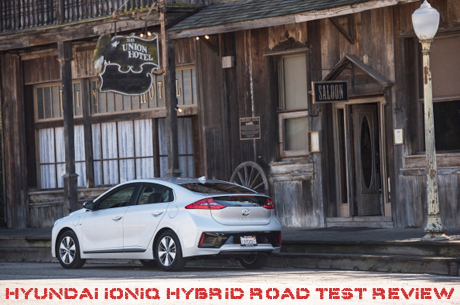 We knew Hyundai had become very aggressive in the hybrid and electric vehicle markets and have even road tested a few hybrids along the way but the IONIQ was unique, boasting a much different vibe than most run-of-the-mill hybrids we've tested over the years. This time, we knew we were driving something special. At first glance inside, it seemed average but never a judge a book by its cover or even by the feel of its pages. Once on the move, the IONIQs individuality began to reveal itself as a quiet, soft and smooth operator. Hyundai’s approach for the Ioniq line delivers an uncompromising design and driving experience coupled with the latest in safety and convenience technologies, making it an appealing choice for a wide range of buyers. Here is a list of its remarkable 'NUTS & BOLTS' attributes. The Ioniq Electric has an estimated 136 MPG e-rating, the highest efficiency rating of any electric vehicle sold in the U.S. market. The Ioniq Electric offers pure electric mobility with a 28.0 kWh lithium-ion polymer battery for an estimated driving range of 124 miles. The electric motor has a maximum output of 88 kW (118 horsepower) and 218 lb.-ft. of torque mated to a single-speed reduction-gear transmission. The Ioniq Hybrid and Plug-in Hybrid both feature a six-speed EcoShift® dual-clutch transmission (DCT), which boasts best-in-class transfer efficiency through the use of low-friction bearings and low-viscosity transmission oil, and is able to achieve a unique mix of driving performance and fuel efficiency for a spirited and fun-to-drive character. This is an important differentiation from the majority of other Hybrid and Plug-in Hybrid cars that use Continuously Variable Transmissions, often criticized as having ‘rubber-band-like’ acceleration. Our test model had a fuel economy expectation of 55 MPG and a price tag of $26K for a fully loaded version. At the time of this review, safety ratings had not been complete but check with the Hyundai website for 2019 as ratings may have been updated by then. The 2019 IONIQ is a carry-over model from 2018. 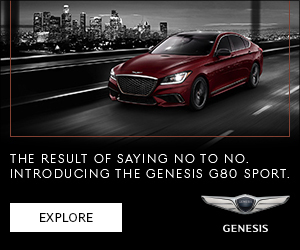 For more info, visit Hyundai Motor America.